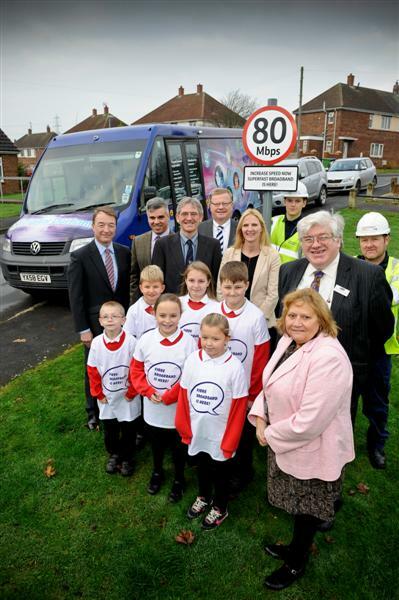 More than 2,500 local homes and businesses can now benefit from faster broadband speeds. Digital Durham joined the local community in Trimdon Village Hall today, to mark the arrival of fibre broadband, which is now available to more than 2,500 local homes and businesses in the area. 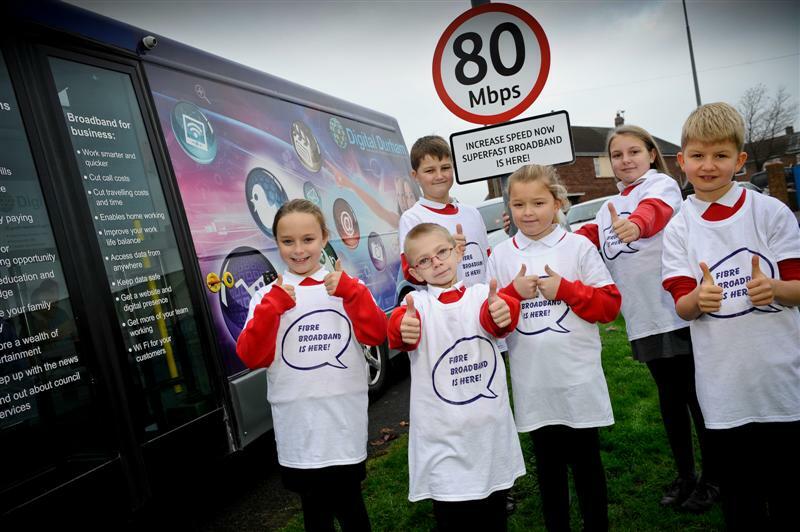 Trimdon Village, Trimdon Colliery, Trimdon Station, Trimdon Grange and Deaf Hill will all benefit, with the majority of broadband users who take up the service expected to achieve superfast broadband speeds well in excess of 30Mbps. The Digital Durham investment was welcomed by Phil Wilson, MP, who described it as a huge boost for the area. He said: “This is a huge boost for Trimdon. People living and working here can now benefit from superfast broadband speeds which I have no doubt will revolutionise the way they use the internet. “Whether it makes working or running a small business from home a possibility or enables school children to complete homework tasks more effectively or simply lets people enjoy the latest methods of home entertainment, superfast broadband is an option we should all be exploring. Digital Durham is a £25 million initiative, which builds on BT’s £2.5 billion UK-wide commercial roll-out, to transform broadband speeds for businesses and residents across County Durham, Gateshead, Sunderland and the Tees Valley. To bring the new technology to Trimdon, more than 20 engineers from Openreach, BT’s local network businesses, have clocked up thousands of man hours of work to deploy seven new fibre broadband cabinets, 30 kilometres of underground cable and around 3,000 kilometres of optical fibre – more than 80 times the distance from Trimdon to Durham City Centre, and back again. 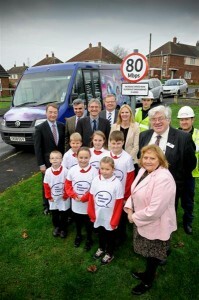 Cllr Jane Brown, Cabinet member for corporate services at Durham County Council, also attended the event. She said: “This is great news for Trimdon and it was a pleasure to attend the launch event and hear how high-speed broadband will provide major benefits to residents in the village as well as those in surrounding communities. Fibre broadband means everyone in the family can do their own thing online, all at the same time, whether it’s downloading music in minutes or watching catch-up TV; streaming HD or 3D movies in a few minutes; or posting photos and videos to social networking sites in seconds. It will also improve access to new job opportunities, and make it easier to shop around for cheaper services. The benefits are also considerable for businesses, which can do much more in far less time. Firms can speed up file and data transfers, collaborate with colleagues and customers on conference or video calls or swap their hardware and expensive software licenses for files, processing power and software from cloud computing. Staff can work as effectively from home as they would in the office. Fibre-to-the-premises (FTTP) technology where the fibre runs all the way to the home or business – delivering speeds of up to 330Mbps2 – will also be deployed in certain areas. Unlike other companies, Openreach offers fibre broadband access to all service providers on an open, wholesale basis, which underpins a competitive market and delivers real customer choice. For more information about the Digital Durham programme please visit www.digitaldurham.org.